For most high level Hearthstone players looking to make a career from the game, building a sizeable Twitch audience matters more than racking up BlizzCon points these days. Team Liquid’s Finnish star Janne “Savjz” Mikkonen has remained a fierce competitor while steadily building his fanbase thanks to his laid back style and willingness to experiment on stream with unlikely decks like his Majordomo Mage and Astral Communion Druid. Check out the game embedded above to witness ‘the Astral Communion dream, in which the perfect draw enables Savjz to jump straight to 10 mana on turn two. 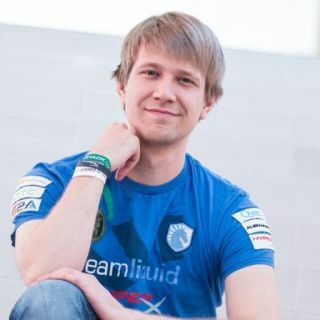 Savjz is the most prominent player on Team Liquid, with high profile wins at Seat Story Cup II and the OGN Invitational. He can be found on Twitter here and you can watch his Twitch stream here. PC Gamer: What is the most common mistake you see players on ladders making? Savjz: Not reacting properly to what they’re playing against. Some people might think it’s not that big of a deal. If you’re playing Druid, you always play the same way. But you need to know what card you should hold on to for later on. For example, if you’re playing Warrior and you have Executes you need to know what to keep them for. You need to be smart and recognise the most important cards against particular classes, and hold onto those for the right moment. PCG: If you could delete any card from Hearthstone, which would it be? Savjz: It would be Warsong Commander. It’s just so unfun. For me personally, I don’t enjoy it at all. Charging the face for that much damage… It’s not very enjoyable. Even though there are strategies that work well against those charge minions, some classes don’t have the tools. For example no matter how you build Shaman and Priest, they are still going to be bad against strategies involving Warsong Commander. PCG: Do you think the card will get changed? PCG: Do you think there’s too much RNG in Hearthstone and does it hold it back from being a competitive esport? Savjz: It’s interesting, because those RNG moments—when something ridiculous happens and there’s a Grommash from the Unstable Portal, when there’s a Doomsayer from Piloted Shredder—those are the memorable moments. You don’t remember where somebody curves out perfectly—1, 2, 3, 4—you remember those RNG things. So I think in some ways it might also make watching Hearthstone more interesting, and that’s part of the reason why tournaments are so popular. But on the other hand, it’s really hard for somebody to make a name for themselves just by being good. Because even if you’re good, with those RNG things, it kind of evens it out and the edge is not as big for the extremely good player. The luck factor is maybe something that could be made a little less significant, but overall it’s good that there’s some randomness involved. PCG: Who do you think it the most creative deck builder around? Savjz: I’ve always been impressed with Kolento’s deck building skills. He seems to nail it. When he builds a deck based on the same sort of strategies that I’ve tried, he’ll change maybe just two or three cards, and I’ll be like: “Yeah, that’s the way it’s supposed to be”. I try out his version and it instantly clicks. PCG: If you get to the point where Twitch gives you a global emote, what would it be. Savjz: Oh, man. It would definitely be something Hearthstone related, because that’s how I got my name out there on Twitch. And something unique to me… I guess it would be some kind of ‘Savjz Roar’, because that’s a meme thing in the Hearthstone community. "Why no one love Gruul? Gruul sad." Shut up, Gruul. PCG: What was the first Legendary card you got? Savjz: I wish I remembered. It was probably something bad. My first collection I actually got all through playing Arena… I think it was something bad and I just dusted it straight away because I didn’t see myself needing a Gruul. Some people are hesitant to disenchant cards—”maybe I’ll need this in that deck at some point”—but I just dust things. I do remember that I had a golden Leeroy very early, and I dusted it. Then, one month later, the most powerful strategy involved Leeroy and I was actually kinda sad. PCG: How do you avoid tilt when you’re playing? Savjz: I usually just take a break when I can feel the steam coming out of my ears. When I’m streaming I try not to just suddenly end the stream, so I’ll keep playing. But if I’m not streaming I’ll say: “Okay, I’m done. I’m not playing anymore today, or for an hour or whatever.” I also switch strategies, so I don’t continue on the same path. I try to reset my mindset one way or another. I think that popularity is way more important than how good you are. PCG: Is it more important for high level players to make careers out of streaming rather than winning tournaments? Does the popularity route matter more? When it comes to your Eddy, size matters. Savjz: Definitely. I think that popularity is way more important than how good you are. But it’s a mix of the two. Most people can’t get popular just by being skilled. You have to be really funny or entertaining in some way. If you’re really good at the game, that helps, but you have to add personality to it. Something that makes your stream unique. I think that’s a good mix. It’s important you have your own style and do your own thing. Something that stands out. PCG: What’s been your happiest Hearthstone moment so far? Savjz: Winning Seat Story Cup II. That has to be it. It was pretty cool beating Kolento in the quarter-finals 4-3. I was hoping I wouldn’t face him, and it was a really grueling series with a lot of memorable moments. Against Theude I still remember the moment where I went for a 14/14 Van Cleef on turn three against Druid. It was such a gamble. He could have had a Big Game Hunter or a silence, but I noticed on his face that his hand must be really amazing because he was happy. So I felt like I had to go for the gamble. I went for it, got a 14/14 on the board, and he had no answer. Seat Story Cup II and lifting the trophy—just so many good memories regarding that tournament. PCG: And what’s been the lowest moment? Savjz: It’s probably some of the early eliminations. Some live event where I’ve been knocked out very early. It’s pretty frustrating, especially if you flown from far away. Maybe the ESL Legendary Series earlier this year. It was kinda disappointing because it was something I felt really prepared for, and then to get knocked out in the group stages… 16 hour flight, a lot of preparation, then two matches in three hours and I’m done. That felt pretty bad. PCG: If you were [Hearthstone senior game designer] Ben Brode for a day, what would you do? Savjz: I would just laugh all day. [laughs] And also nerf Warsong Commander.